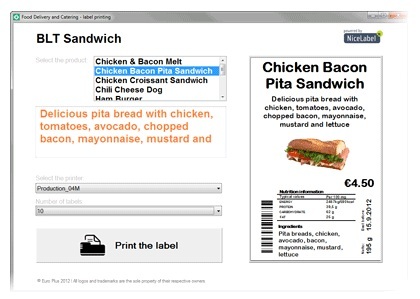 Rapidly build custom labeling applications without programming. Nicelabel PowerForms is a graphical Rapid Application Development (RAD) environment which lets you quickly create windows applications and reduce your development costs. Increase your productivity by deploying custom labeling applications with minimal planning and rapid prototyping. 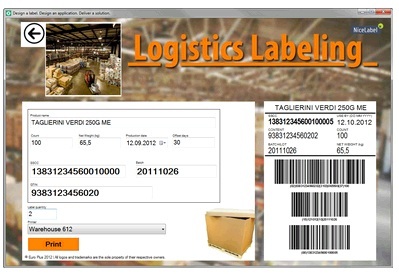 Eliminate label printing errors. 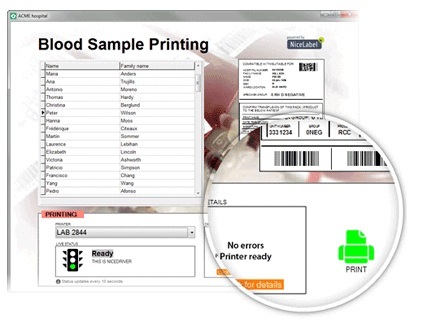 Select the database record, see the label preview, and the printer status, and then print your labels. Less manual data entry and better label oversight makes a high level of quality control part of your normal printing process. Integrate with production systems. 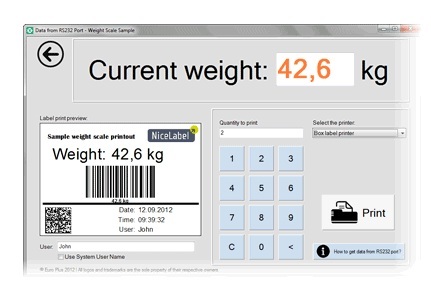 Integrate with production devices and software and use data from external sources on your labels. 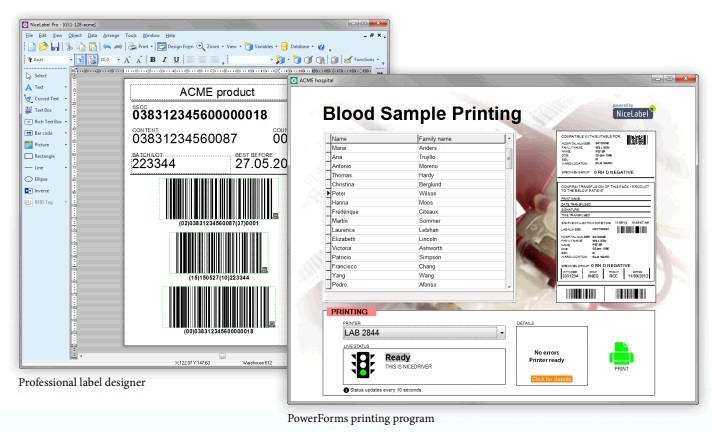 You can even forward the data to other business systems every time you print. Easily interface with bar code scanners, weight scales, PLCs, print applicators and other hardware. Increase your productivity. Make it easy for your operators to do their job. Customize the application to fit your business processes and user needs. Reduce development costs. PowerForms builds applications faster than programming languages such as C# or VB.NET. This reduces application development costs and time to deployment.